With your tree’s stump still lying around, you’re overlooking a potential hazard and hindrance to your entire yard. Having a stump can raise several other problems. 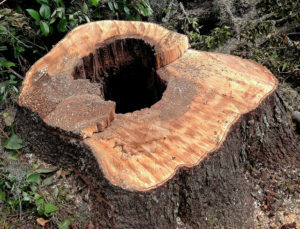 That’s why you need professional stump removal Western Sydney. This service guarantees the full completion of the job by removing the last part of your tree from your yard. The apparent consequence of not removing your tree stump is the dangers that it can bring to you and your family. Sure you might see your stump and avoid it as much as you can. But once it gets overgrown by moss and wild grass, it will be covered entirely from your eyesight. That means anyone who sets foot in your yard will be at risk of potential trips and falls from not seeing your now hidden tree stump. That could be you, any of your family members, or even your pet. That’s why having it removed once and for all is the best way to prevent accidents from happening. We all hate pests. That’s why the average Aussie invests a lot in the pest control industry.Does it seem like you’re spending too much money on pest extermination yet you still have pests around, or they keep coming back? That may be due to your tree stump outside. You might see it as just a small chunk of wood lying on your yard. But if you’d look closer, you’ll realise that it has become the home and breeding place for various kinds of pests. These can range from red ants to termites and even snakes and several other pests. So to prevent your home from being outrun by pests. Destroy their territory which is your tree stump. These reasons are enough for you to act right away and hire professional stump removal western Sydney. Having your tree removed means having your yard free of any potential dangers and hazards. So what are you waiting for? Contact your local tree stump removal services company today.